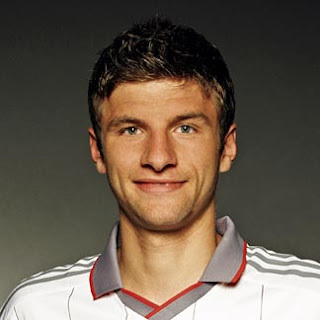 According to the Daily Star, the Bayern Munich player, Thomas Muller, rejected the chance to move in the summer to Manchester United. Red Devils has reportedly approached the German player in 2015, to persuade him to come to Old Trafford. Yet several times anyway, they met a stalemate. However, the refusal and the fact that Muller had just bind a new contract at the Allianz Arena, claims will not deter the Red Devils to try to recruit players who had brought Germany won the World Cup. The figure of 26-year-old still has not wanted to leave the Allianz Arena, and for the umpteenth time, he rejected the seduction of Manchester United to get his autograph at the end of the season. Manchester United themselves is now trying hard to reach the top four leagues to be playing in the Champions League next season, ahead of the match against Southampton this weekend.